When I’m numbed up in a cold wetsuit at 6:30 in the morning, there’s not too many things higher on my wish list than a gallon of hot water. Most of us have an old, plastic jug we fill with scalding hot water, throw in the trunks of our cars or cabs of our trucks before a morning surf, and hope it stays warm until we get back. But it usually never comes out as hot as it was going in. The Hug a Jug, however, is a difference maker in that department. The Jug may seem like a gimmick, dressing up something that any surfer can get for free by rummaging through a recycle bin, but the small twist the Jug puts on that old plastic container you fill every winter morning is a valuable one -- it succeeds where your’s fails. 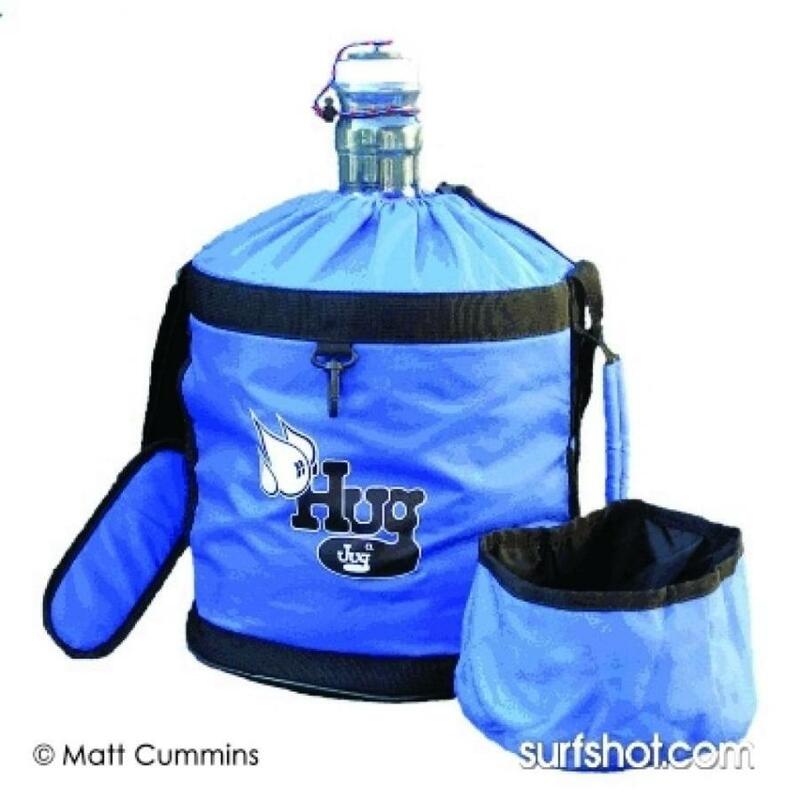 The Jug is insulated and keeps the water hot. A good winter purchase for any surfer who needs to be at work early and in the water even earlier. Retails for $19.95. This entry was posted in Lowdown, Magazine . Bookmark the permalink.